"With Patty's strong Houston market presence, she will play a vital role in helping LINKED continue the long-standing tradition in assisting employers place candidates in hard-to-fill positions," said Paula Calise, principal LINKED. LINKED, a leading executive search firm that specializes in placing executives in hard-to-fill management positions, announces the expansion of its recruiting services in the Houston market. 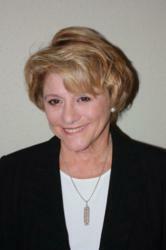 Patty King, energy industry veteran in the Houston area, has been tapped by the firm as principal recruiting consultant. LINKED has served Houston’s employers from its Dallas office since 2008. The recent marked growth in Houston’s employment warrants having a local market-based recruiter. According to the U.S. Labor Bureau of Statistics, as of May 2013, Houston had the fastest rate of annual job growth (3.8%) among the 12 largest metropolitan areas in the country. The area’s professional and business service sector is a key contributor to this growth. As this job sector continues to expand, there is a greater corporate demand for professional and executive placement and the need for LINKED’s noted recruiting services. Ms. King’s background brings expertise in the oil/gas, telecom, and financial industries to LINKED. Most recently, she was an account management executive with IPC Systems, which provides energy and financial trading floor solutions, and earlier a sales executive with the global telecom and technology giant Siemens. Ms. King excels at delivering the best in solutions and support to both existing clients and new accounts. She is recognized for creating and maintaining long-term, productive relationships. For ten years, Ms. King has been actively involved with the Houston Chapter of Women in Energy and through her network in the Energy industry has been instrumental in obtaining donations for its outreach program, Young Women Energized. “Patty will play a vital role in helping LINKED continue the long-standing tradition in assisting employers place candidates in hard-to-fill positions,” added Calise.